Mot all of us rely upon electronic media  the Internet and e-mail  when we need information right now. After all, electronic dissemination delivers a wealth of resources on demand. However, some serious shortcomings still compromise its power. For instance, when you Google almost any topic, youll come up with a long list of Internet pages but no real gauge of the quality of the information they provide. Then, you generally have to visit myriad sites to piece together all the details you need. In the technical magazine world, one of the key roles of editors is to filter the torrent of information and present only the most relevant and valuable materials to you. That continues to be a guiding principle for Chemical Processing. We now are taking that to a higher level with our revamped Web site, ChemicalProcessing.com. Most publishers continue to treat their Web sites as electronic versions of their magazines. However, our parent company, Putman Media, after carefully researching the needs of professionals like you, is pioneering a broader, more useful and comprehensive approach. We realize that when you go the Web, you are looking for specific, high-quality, actionable information. And you want it presented in a way that makes it easy to find and use. So, we will continue to present the current issue of Chemical Processing online and to provide access to archived material, but we are also significantly expanding the scope of our site. We are including Web-only content such as news items, relevant stories from other Putman Media publications, such as Control and Plant Services, and information from elsewhere, such as white papers, details on products and upcoming conferences, and much more. Weve also entered into a partnership with GlobalSpec.com to give you access to its comprehensive product and specification resources. To make this wealth of information as easy as possible to find, we are organizing the sites content by key topical areas, such as Design & Simulation; Environmental, Health & Safety; Reliability & Maintenance; and Utilities & Energy. Each of these channels will include relevant news, articles, product information, white papers and more. 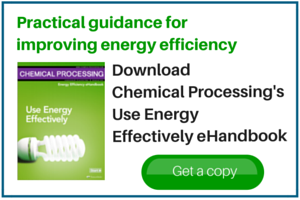 Youll find material to help you understand how emerging developments may benefit your plant, such as details about the new standard for plug and play sensors, information on longer-term issues, such as EPAs vision of waste and materials management in 2020, as well as timeless engineering resources, such as a primer on how to clean heat-transfer fluids. Each channel will be updated frequently. In addition, we are launching a series of technology-focused e-newsletters to regularly inform you about whats happening in key areas. So, make sure to sign up to receive ProcessAutomation Insider, PowderHandling Insider and FluidHandling Insider. This is an ambitious effort and we realized to do it right we needed to add staff. So, weve added Jim Camillo, managing editor of digital media, who focuses exclusively on electronic media. Our goal is to become your prime resource for useful and actionable electronic information. We will continue to add features and functionality as we progress. Let us know what else would be of value to you.